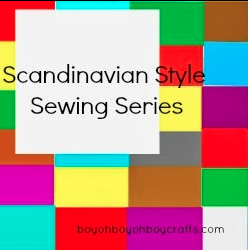 It's Day 2 of the Scandinavian Style Sewing Series hosted by the wonderful Stacey from Boy, Oh Boy, Oh Boy crafts. I was especially excited in participating in this series because I love this style! The simplicity and minimalism are right up my design alley, and I couldn't wait to create my look. My research took my to CIFF and the Scandinavian Mini Mall. There, I found gorgeous garments ranging from bright, whimsical prints to understated modern neutrals. Searching my stash, I found some cozy off-white faux fur I bought ages ago, and knew in an instant that it had to be a part of the outfit in the form of a reversible vest. 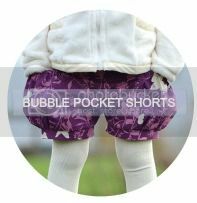 From there, the rest came together, from the black ribbed jersey turtleneck, to the quilted cotton skirt, and finally, up-cycled leg warmers made from socks. 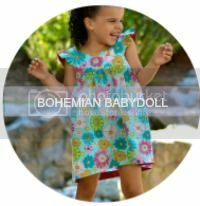 All the garments for this outfit were adapted from existing clothing or self-drafted patterns. If you'd like to re-create part of the look, I've got a couple tutorials for you. 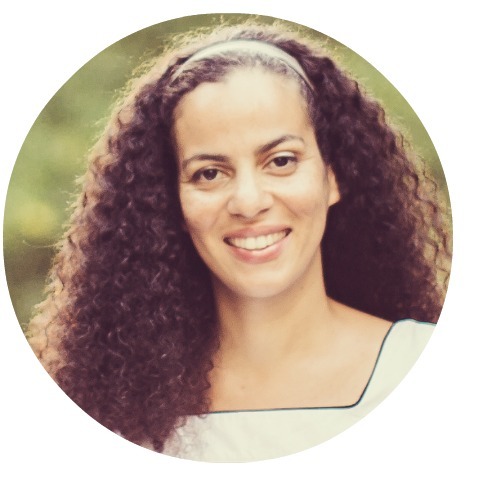 Thank you Stacey for this great idea for a series and for the invitation to participate. 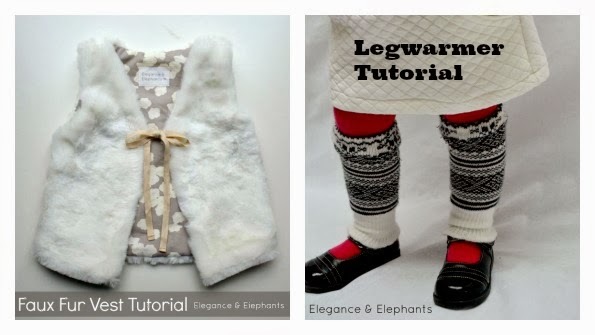 10 comments on "Scandinavian Style Sewing Series"
Just gorgeous, Heidi. That skirt and the pop of red from underneath just make this outfit. Wish I had myself such a cozy, stylish outfit. So beautiful. I love how pretty it all looks together. Absolutely gorgeous!! Love the skirt. I hadn't heard about this series... thanks Heidi for introducing me to it. 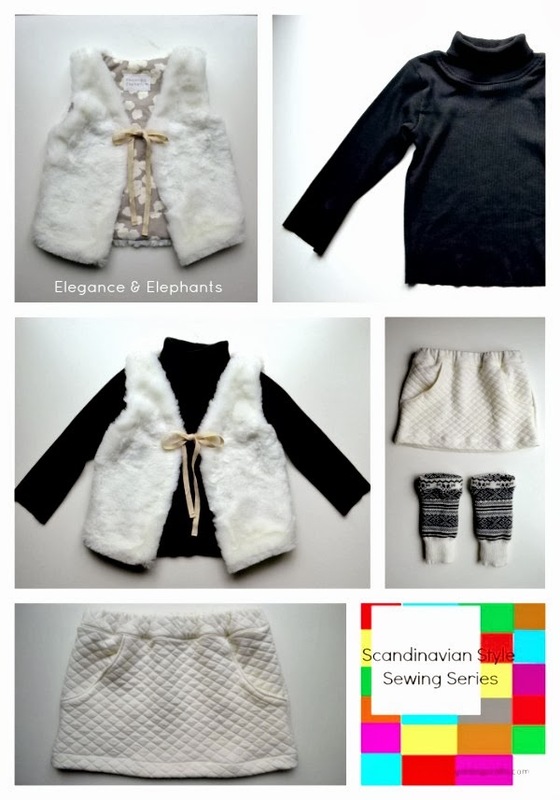 I love all things Scandinavian and find that most of my sewing inspriation often comes from the Nordik countries. The outfit you created is just beautiful, great job!!!! Love the fabric of the skirt. The whole outfit is very cute. What a cutie! And oh the coziness ;-) Great job Heidi. So beautiful. And cozy. Love the direction you took! The quilted skirt AND THOSE LEGWARMERS! So adorable! I want an outfit like this for myself!